RWISA, the latest brain-child of Author, Nonnie Jules, was founded for the sole purpose of introducing the literary world to some of the top INDIE Authors! These writers are consummate Professionals, dedicated, committed and driven to continually excel at producing the best written works possible. Are they perfect? No, but none of us are. What separates them from the rest, is their ultimate goal of giving readers what they are paying for…great, polished reads and writing! The members of this community have penned works that have garnered high marks and praise for creativity, and their dedication to the excellence of the craft of writing. But, it doesn’t stop there! Their desire to be the BEST in their writing, is evident in the little things, as well, such as their websites and blogs, their well-written book blurbs and even their Author bios on Amazon. These writers care about perfection in their writing and it shows across the board! RWISA is home to some of the most talented INDIE authors around the world! We invite you to take a look around, visiting each author’s page, as well as their showcases. If you are an author, and think that you have what it takes to have your name placed on the roster of our ELITE members, we invite you to submit a request for membership. You can’t belong to RWISA simply because you want to. This community of ELITE writers is not open to the general public. Although submitting a REQUEST  for possible membership is required, actual membership into the society is by invitation only! Once it has been determined that your written work, your attention to detail, and your commitment to continually improve and excel as an Author is genuine, it will be an honor to add your name to our roster of other ELITE writers. This entry was posted in #rrbc, Books, Guest Blogger, Writing on August 31, 2017 by lauralibricz. Because of the division that’s going on in our world right now, the hate that’s being stirred up and spewed by these White Supremacist groups, we felt it appropriate and extremely necessary that we share a piece from our RRBC President, Nonnie Jules, that needs to be wide-spread. This entry was posted in #rrbc, Guest Blogger, People Watching, Writing and tagged #rrbc, Writing on August 30, 2017 by lauralibricz. Welcome to Day 28 of the RWISA Showcase Blog Tour. Today’s blogger is none other than Linda Mims! I’m every woman. It’s all in me. Being the one comes with certain responsibilities. This entry was posted in #rrbc, Guest Blogger, People Watching, Short Story, Writing and tagged Writing on August 28, 2017 by lauralibricz. This entry was posted in #rrbc, Books, Guest Blogger, Short Story, Writing and tagged #rrbc on August 26, 2017 by lauralibricz. 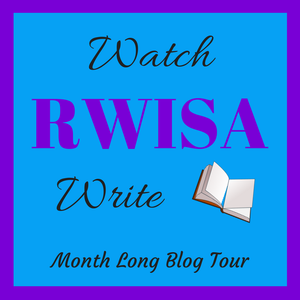 Welcome to Day 18 of the RWISA Showcase Blog Tour! Today I welcome none other than RRBC author D. L. Finn! This entry was posted in #rrbc, Books, Guest Blogger, People Watching, Poetry, Writing on August 20, 2017 by lauralibricz. Welcome to Day 17 of the RWISA Showcase Blog Tour! 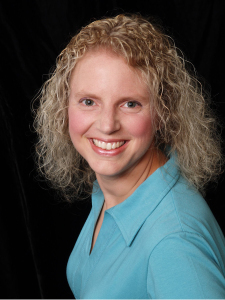 Today I welcome none other than RRBC author Rhani D’Chae! The characters in the following story are from my novel, Shadow of the Drill. After a moderately grueling assignment, they take a day off to enjoy a Sunday barbecue. Charlene squealed, leaning to the side to avoid an airborne hot dog. She need not have worried, for the meaty missile bounced neatly against the chest of JT, who was seated next to her. “Really?” Rudy flashed an innocent grin over the top of barbecue grill. “I thought it was hilarious.” He flipped a pair of hamburgers, then added a dash of seasoning to each. “You shouldn’t have said he was getting old, and you definitely shouldn’t have said he was losing his touch.” Charlene refilled her glass from the pitcher of lemonade on the table. Lemonade, and just the right amount of tequila. “Well, that was stupid.” Decker set the bowl onto the table, then dropped into the chair, leaning the cane against the table before reaching for the pitcher. He shifted in his chair, muttering a soft curse when his broken ribs objected. Charlene leaned back, tuning out the conversation while she thought back over the last six days. It had started as just another job, but it had quickly become so much more. Hired to find and retrieve a stolen Shelby Daytona Coupe, Decker and his team had landed in the middle of an auto theft ring that stretched from Bellevue to Portland. Finding the missing car had been difficult – retrieving it had been damn near impossible. The car had been located in Vancouver and liberated in the dark of night with considerable damage to all concerned. By the time the Shelby was safely in a truck headed north, Decker had calculated how much of a wear and tear fee he was going to charge his employer before the car was offloaded at its destination. Bruised and broken, Decker’s team had limped back to Tacoma and gone their separate ways. After checking on the Shelby, Decker had contacted the owner and arranged a time to meet. Charlene had greeted him at the door when he arrived home, the sight of his battered body bringing tears to her eyes. He had assured her that he was not seriously hurt, so there was no discussion of seeking medical help. He knew his body – and its injuries – better than any doctor, so she did not question his analysis of the situation. Injured and exhausted, he had needed rest. A great deal of rest. But, after only a day and a half, he was limping restlessly from room to room, and she knew that something needed to be done. The barbecue had been her idea, and he had willingly agreed. Though they often entertained, they had never invited more than two or three people over at once. The fact that it was JT’s first social visit to the house contributed to the uniqueness of the event, as did the presence of Decker’s old friend and occasional teammate, Hunter Grae. The side gate rattled, and Charlene jumped up to open it before Davis dropped his armload of Tupperware containers. The investigator gave her a warm smile, thanking her for her assistance. “It’s everything I could find for the Palmer job. I promised I’d bring it by today.” He waved at Decker and JT, then slid the envelope from beneath the Tupperware to show he’d brought it. “Thank you,” Charlene said gratefully, then headed for the kitchen to unpack the Tupperware while Davis returned to his car. When she passed Rudy, he handed her a plate loaded with hotdogs and hamburger patties. Charlene glanced over the long fold-up table that Decker had set on the grass. It held assorted buns and condiments, as well as paper plates and plastic silverware. As if on cue, Hunter appeared on the deck, carrying a serving tray that had been loaded down with small plates of pickles, slices of cheese, and crisp lettuce leaves. He called out a greeting to Davis and Roberta, who were coming through the gate together, then headed for the picnic table to unload the tray. section of bruising that a heavy object of some sort had left along his collarbone. She joined him at the picnic table, calling to the others as she set the plate down. She was able to get her hamburger onto a plate, along with potato salad and baked beans, before the table was surrounded by hungry people. Glad that she had escaped the swarm, Charlene returned to her place at the oversized table on the deck. Taking her seat, she enjoyed a moment of silence, knowing that a moment was all she would probably get. A light breeze brought the scent of roses, and Charlene closed her eyes, inhaling with pleasure. So far, the day had been wonderful, and she knew that the evening would be just as fine. Opening her eyes, she looked around at the people who mattered in her life. It couldn’t be more perfect, she thought with a contented smile. Fun, food, and the very best of friends combined to make a day that she would long remember. Especially since, for a few short hours, it was a fairly safe bet that no one was going to die. This entry was posted in #rrbc, Books, Guest Blogger, People Watching, Short Story, Writing on August 19, 2017 by lauralibricz. She earned a BA in German at The College of New Paltz, NY in 1991 and moved to Germany, where she resides today. When she isn’t writing she can be found sifting through city archives, picking through castle ruins or aiding the steady flood of musical instruments into the world market. Her first novel, The Master and the Maid, is the first book of the Heaven’s Pond Trilogy. The Soldier’s Return and Ash and Rubble are the second and third books in the series. This entry was posted in #BHBW, #rrbc, Books, Castles, Germany, Höchstadt a. d. Aisch, Heaven's Pond, History, Nürnberg, People Watching, The Soldier's Return, Writing on August 16, 2017 by lauralibricz.